Cabzilla Taxi in Croydon provide the best taxis service for over 10 years. With professionalism & reliability being our main priority when it comes to taxi service. We provide taxi in Croydon and the surrounding area of greater London. Noteworthy is we can cater for 01 passenger up to 08 seated minibus carrier. Weather you require a taxi in Croydon or a minibus, look no further as we have standard, executive and luxury cars and minibus service. Whether it be a taxi, minibus or any sort of requirement call our team today. Open 07 days a week. Don’t delay call or fill in our online form today. Airport Transfers in Croydon provides excellent service and value for money. With a track record for punctuality and state of the art vehicles you can travel in comfort and peace. We provide a meet & greet from any airport. So this service is highly recommend to anyone that has not been around London airport. 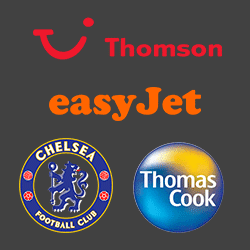 We run transfers from Gatwick, Stansted, Heathrow, Southend, Luton & Lydd airport. Furthermore book a taxi or minibus today and make saving on advanced (bookings 30 prior of travel). Even more with over 300 vehicles in our fleet we cater for your need any given time no matter where you’re looking to go, be sure that you can count on us to take you there. Therefore Booking with us will take out the hassle of transport booking. Call or email our friendly staff today or fill in our online form for a quick quote.